Disclaimer: Long, meandering and highly self-indulgent post where I pretend that I know a lot about books. Some Thinking By Typing will also be practiced during the course of this post. Please excuse if you're not in the mood. I've written many mental posts recently on the books I've been reading. I never got around to actually typing them out because a) I didn't have enough to say; and b) I'm not sure if I have enough knowledge about books to be able to say anything of value about them. 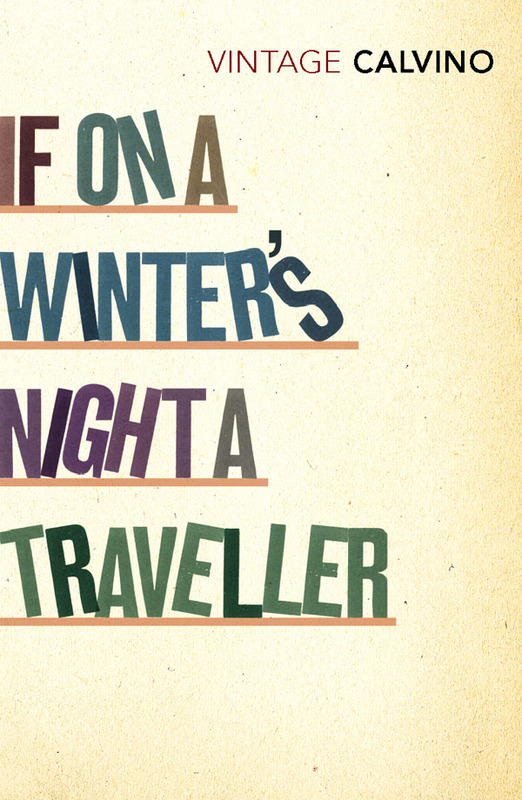 But what finally prompted this post is the fact that I just finished reading Italo Calvino's If On A Winter's Night A Traveller. This was the first Calvino book that I'd gotten around to reading finishing. Mostly because I have this belief, well-founded or not, that translations are useless because of the sheer impossibility of capturing the flavour of the original in another language. I've read English translations of Malayalam books, and I always find myself mentally translating the English back to the Malayalam words that the writer must have originally used, and the translation always seems so dead in comparison. But back to Calvino. IOAWNAT is a book about reading. The writer explores reading like I've never even thought of exploring it, and he explores it in a way I've never seen done before. The book is about you, The Reader. Or me, The Reader. I don't know which. Throughout the book, I couldn't figure it out. Is the book about me? Is the book about the writer? Is it about books in general? Is it about reading? Yes, that it definitely is of course, but what else is it about? IOAWNAT contains the first chapters of eleven different books. It follows you, The Reader (or me, The Reader) as he pursues one book after another. He starts off reading Italo Calvino's IOAWNAT. He's unable to finish it because of a printing error. So he returns it and gets a fresh copy, which turns out to be another book altogether. In the process, he meets an attractive young lady, The Other Reader. She leads him on a wild goose chase through books written in other languages, books unpublished as yet, books written by ghost writers under popular authors' names. He starts each of these books, and is unable to finish them for some reason or the other. In the midst of it all, there's an organization that is trying to - well, I'm still not quite sure what the hell they were trying to do. There's also an old author living in the hills, who is struck by writer's block and spends his days spying on a young lady sitting in a chair and reading down in the valley. He wants to write the book that the young lady is reading. So what is writing, exactly? Does a writer channel something that's already written? Some Divine Thought, like Mohammed hearing God's voice and translating it for us? Or does the writing come from inside the writer, something that he makes up on his own? It is a natural process, or is it artificial? And what about reading? Why do people read? Do they read to be entertained? Do they read so that they can take away something from the book? More and more when I'm reading, I find myself struck by some passage or sentence or meaning, and my mind takes up that trail of thought and wanders away. Is that what books are for? So that the mind is stimulated in different directions? And am I being a hypocrite when I read partly because I know it'll improve my writing as well? Murakami - Blind Willow, Sleeping Woman: I started it back in June and then dropped it because I found other books more interesting. Joyce - Dubliners: Blah. Not liking the stories at all. Calvino - Difficult Loves: Liking it very much. But as usual, I can't finish short story collections at one go. Stephen King - Night Shift: Recently started. Call him a 'mass writer' or not, King really is one of my favourite writers. His writing is simple and no-nonsense, and he can make you see what he wants you to see in a way that very few other writers can. A collection of science fiction stories: Read only one so far and liked it very much. Though I'm not really into science fiction. Madhavikutty - Ente Katha (My Story): I haven't really read Malayalam books since I was twelve or something. I picked this one up so that I could get back into it, but my reading pace was too slow for my liking. So I stopped. Yeah, that's it, I think. I plan to finish them in the same mixed up fashion. Maybe dip into Calvino one day and Stephen King the next. 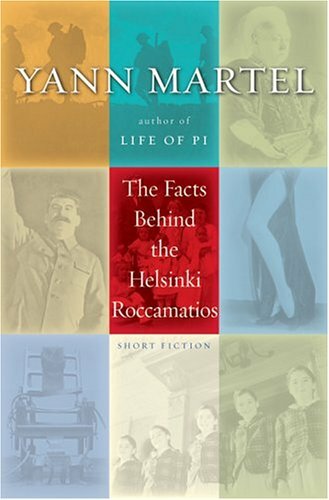 On the other hand, a short story collection I would recommend highly is Yann Martel's The Facts Behind the Helsinki Roccamatios. Despite the unwieldy title (it seems deliberate, because all the other stories in the collection have even longer titles) the stories are all - well, I don't know what adjective to use - interesting? Different? The last story especially (The Vita Aeterna Mirror Company: Mirrors to Last till Kingdom Come) was incredible. A tale of nostalgia and memories and loss and trying to capture the past. And all this through a way of writing that - well, go read it. The title story is also gripping. How is it possible for a writer to make the reader (me) shed tears at the end of the story despite knowing from the first that the protagonist is going to die and that I shouldn't attach myself to him? Yann Martel managed that somehow. You know that thing publishers do where they hunt up old dead books by an author who has suddenly become famous, and publish it with a huge sub-heading 'By the author of Incredibly Famous Book!' For once I was glad that it happened to Helsinki Roccamatios. But what I want to read right now is a good solid yarn, you know. Something that requires no brain, no mind. Something I can just breeze through and enjoy thoroughly. My cousin is reading Fellowship of the Ring for the first time now, after much cajoling from my part. I watch her with envy. How awesome would it be to go through Lord of the Rings again as if for the first time, just enjoying the adventure, not knowing what is going to happen next. Unfortunately, I've read the book (or my favourite chapters rather) too many times now. I read ente kadha after she passed away, i always used2 think of her as well shifty..
but somehow d book helped change d whole misguided view. ps: i am on difficult loves too. love it so far. Murakami's simple ideas are like drugs for me. I am planning on reading everything he ever wrote. 'Blind..' has some fascinating ones too. Really. His writing is so unbelievably simple, follows a path, but with a nature of mystery. I am dying to read his A Kafka on The Shore but only once i am done with all the Pratchett I have. Heathcliff's Girl: Hehe.. Yeah, people in Kerala don't really have a good opinion of her. Or at least, didn't until she passed away. Rohit: Somehow Murakami makes me feel quite dumb, as if there are so many shades of meaning in his writing that I can't quite capture them. I just discovered yesterday that the book will arrive in Landmark (as well as Crossword, Shankar's etc.) in a month's time only! The distributor is taking his time to send them. Right now, Gangaram's is the only place where it is available. Thanks for looking out for it, and hopefully somewhere in the not-so-far future my book will appear in these bookshops. Then I will be posting a big, fat blog post up at my site.